Octopus Electric Vehicles is delighted to present the second event of the Electric Vehicles Discovery Series in Hatfield on Saturday 30th March 2019, where locals will have the chance to get behind the wheel of a selection of the very best EVs on the market, while learning how to make the life and climate-changing switch to zero emissions driving. Locals must book a place in advance to secure a spot by emailing hello@octopusev.com. 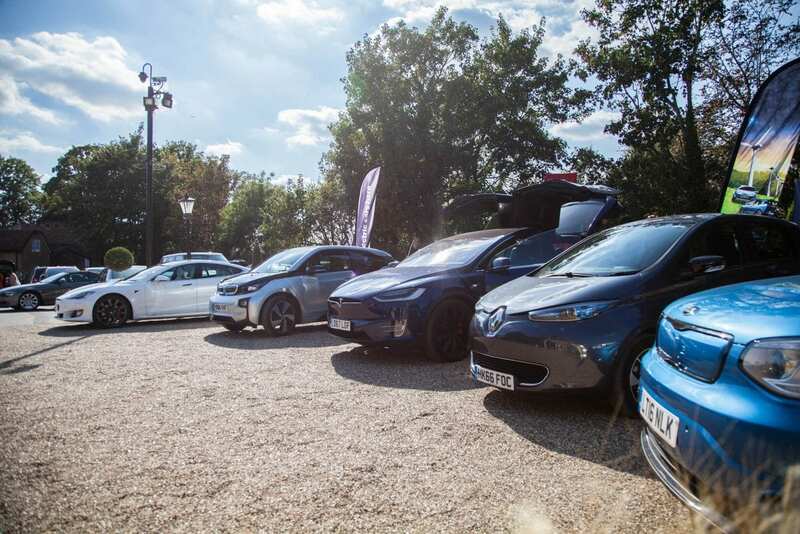 Specially designed to help Hertfordshire locals to learn about, experience and celebrate electric vehicles throughout the day, the electric vehicle specialist, Octopus Electric Vehicles, is hosting the event at Beales Hotel, Comet Way, Hatfield AL10 9N – from 10am to 5pm. Get valuable expert help and advice at every stage of the low carbon journey, while seeing and trying a selection of the world’s best electric cars to buy or lease, including: the BMW i-3, the Nissan Leaf and the Tesla X. This trilogy of events is to give locals the chance to learn all about more about our hand-picked vehicles from a variety of manufacturers including BMW and Nissan, and get behind the wheel too! This is the first time a company has pulled everything together in one place: a range of the world’s best EVs, a team of impartial experts to help consumers choose the right vehicle at a great price, 100% renewable electricity for the selected electric car and home (Go tariff from Octopus Energy especially for EV drivers), smart charger that saves money when charging (and help with the grants), details on salary sacrifice, and a free VIP support helpline for as long as they remain a customer. Locals will also be given advice on a range of valuable grants available to new EV drivers. For example, thanks to Low Carbon Workspaces (https://www.lowcarbonworkspaces.co.uk/suppliers/), businesses can now apply for a business grant of between £1,000 and £8,000 when buying or leasing one to five Octopus Electric Vehicles. This is above and beyond the government grant of £3,500 per electric car for domestic and business use, making it all the more exciting for locals to visit the Octopus Electric Vehicles hosted event and access this jaw-dropping selection of the best electric cars and all-encompassing package on the market. There will charging experts at the event, as well as details on Octopus Energy Go – the very first 100% renewable electricity tariff specifically for electric vehicle drivers at rates as low as 5p/kWh from the Which? only recommended energy supplier Octopus Energy – for the second year running (2019, 2018).